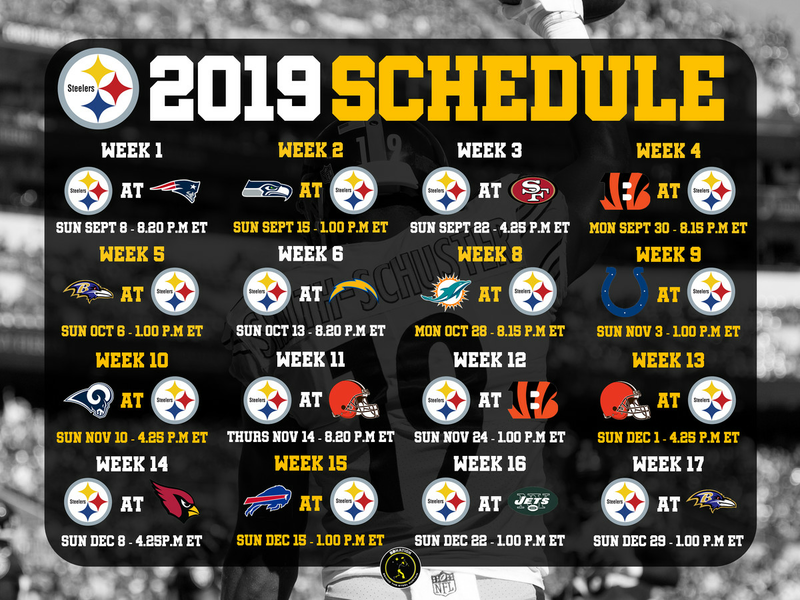 We are collecting all the rumors and leaks about the Steelers schedule in one spot . The 2019 NFL schedule will be released at 8 p.m. Eastern on Wednesday night, the league announced Tuesday. Before that, there is a strong chance there will be leaks across the NFL landscape. And we’re here to collect them. Last year, several games on the Steelers’ schedule were known hours before the official release. For now, here are the teams the Steelers will be playing and where the game will take place. In 2019, the Steelers, and the rest of the AFC North, are paired with the NFC West and the AFC East. 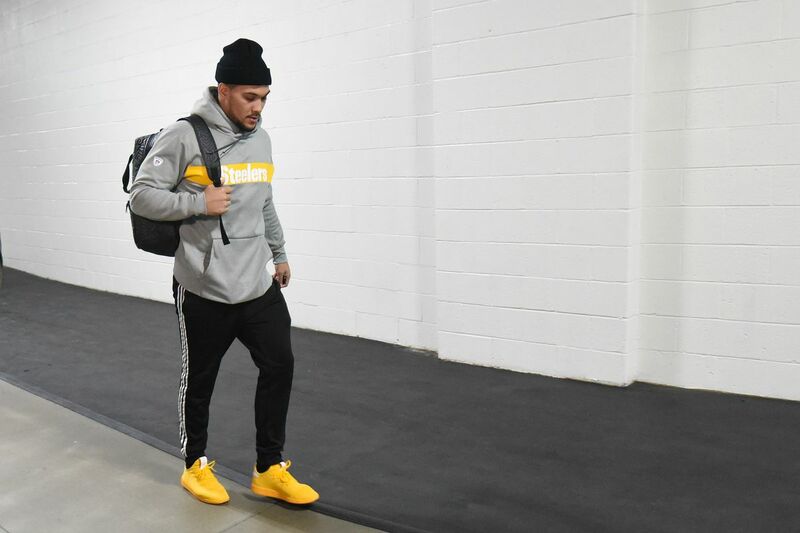 The only other two opponents will the second place team in the AFC South and AFC West, since the Steelers finished second in the division. The full schedule following the official release on Wednesday evening. Looks like the Steelers might be playing Le’Veon Bell towards the end of the 2019 regular season. Plenty of big games ahead for @LeVeonBell, @TheAdamsEra, @leonardwilliams, @TreyDeuce32RTR, @YoungAmazing9, @Chris_Authentic & Co. The Steelers are headed to the bay area when they reportedly play the San Francisco 49ers in Week 3. Dolphins get a Monday night game! At Steelers on Oct. 28, per source. The Steelers are reportedly going to host the Colts on November 3rd in Week 9. The @Colts schedule is here! We've learned the Colts will open the season with a pair of road games, finish the season away from Lucas Oil Stadium and play in prime time three times this season. Stay tuned to see what is being said, as well as rumors swirling around, as the NFL prepares to announce the full slate of games Wednesday night! Devin White is the medicine for what ails the Steelers defense The 2019 NFL draft may just offer the Steelers defense a solution to their turnover problems, or more specifically the lack thereof. Steelers will not let recent free agent signings influence 2019 draft plans Mike Tomlin and Kevin Colbert discussed the team draft plans at their annual pre-draft press conference on Monday. Black and Gold Links: Potential safeties the Steelers could target in the 2019 NFL Draft Time to check on the latest news surrounding the Pittsburgh Steelers. T.J. Watt realizes the return to ‘Steelers Football’ starts with the approach Preparing for a return to ‘Steelers Football’ starts with how the team approaches the upcoming 2019 schedule.